NZDUSD is under the influence of Labour cost index which rose out of New Zealand expectation. The support rests at 0.71250 with resistance at 0.71850 and the monthly pivot point is located in between these two lines at 0.71600. The EMA of 10 is falling down towards the EMA of 100 which is rising slowly. The RSI is moving on the 50 level, the MACD indicator is in positive territory but it is falling down and the Stochastic is showing upward momentum. 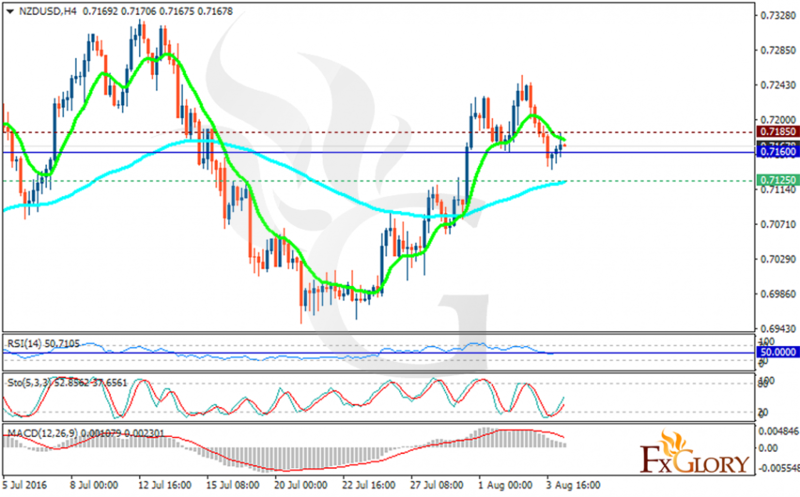 It seems that the pair is not going to grow higher, sellers can target 0.7050.